We currently charge a nominal fee of AED 150 per person to cover membership administration and organization of the monthly meetings. ​Children under 18 years old can join for a nominal fee of AED 25. 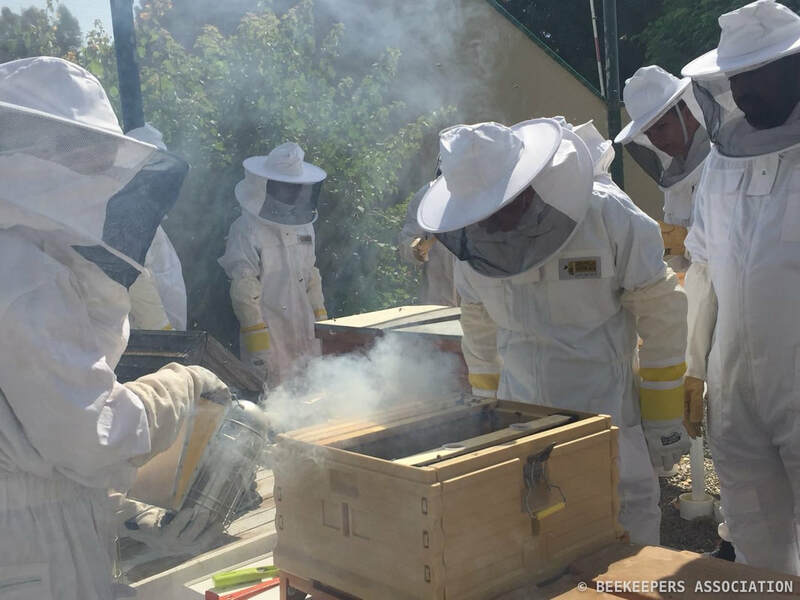 Members of the Beekeepers Association are either experienced beekeepers or novice beekeepers who have completed a beekeeping course from a registered Association. Monthly Meetings Ten monthly meetings take place each year from September to June, which give you the opportunity to interact with other beekeepers to discuss topics from hive management to the best type of honey bee. The meetings may also include presentations on various subjects. and renowned speakers. Association Apiary The Association maintains an apiary at The Sustainable City. The apiary is used for training new beekeepers, giving demonstrations of beekeeping techniques and providing a refuge where members can leave temporarily their colony while traveling. Equipment on Loan The Association has honey extraction tools and equipment, including a honey extractor, uncapping tray, etc. available for rent to members. *If you join before November 1, your membership will be for the current calendar year or if after November 1, for the upcoming calendar year. Friends can upgrade to members if they complete the Beekeeping Course offered by the Association or provide a course certificate from another registered association abroad. * If you join before November 1, your membership will be for the current calendar year or if after November 1, for the upcoming calendar year.